A recent study indicated that 30% of people worldwide fall into the categories of either ‘obese’ or ‘overweight’. That makes it a major world health problem, and a source of concern for many people. Losing weight can be such a difficult task that people are always looking for a miracle solution to melt the kilos away. Premier Diet Keto, named after the world-famous Keto Diet, claims to be this miracle fat cure. According to the manufacturer, this product melts fat away while also curbing your appetite, giving you more energy and speeding up your metabolism. Premier Diet Keto consists of 60 supplements to be taken orally. It is a weight-loss product which claims to increase metabolism, burn fat, suppress appetite and boost energy levels. It is named after the world-famous Keto Diet, which says that you should avoid carbohydrates and your body will burn fat. 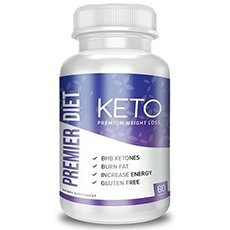 Who is the Manufacturer of Premier Diet Keto? The manufacturer of this product is Premier Diet Keto. They manufacture various vitamins and supplements for weight loss. The products are focused on the Keto Diet, which involves cutting carbohydrates so that the body begins burning fat as fuel. The product contains a number of very special ingredients with weight-loss properties. What’s not clear is how this is related specifically to the Keto Diet, which centers around the idea that if you avoid carbohydrates your body will burn fat. It’s also unclear whether you are supposed to follow the Keto Diet specifically while taking these supplements, but it seems like a fair assumption. Premier Diet Keto Ingredients – Are they Safe & Effective? The two most important active ingredients in this weight-loss product are Garcinia Cambogia and ginger. The hydroxycitric acid in the Garcinia Cambogia extract can speed up metabolism, curb appetite and stop fat cells from growing. Ginger initiates fat burning and helps to digest carbohydrates. Beta-Hydroxybutyrate (BHB): When you go on the keto diet and stop eating carbs, BHB is an example of a ‘ketone’ that the body produces. Ketones are created when fat is used to produce energy. Studies have indicated that the presence of BHB causes weight loss. Vegetable Cellulose Capsule: Used to hold the ingredients together within a capsule. Otherwise it includes no active ingredients at all. Avocado: Although the average avocado is filled with calories and contains 29g of fat, it is still a great food for weight loss. Besides being very filling, each one has 20g of mono-unsaturated fat. This can decrease cholesterol levels in the body. Avocado is thought to reduce belly fat in particular. Garcinia Cambogia: A fruit whose extract contains hydroxycitric acid. This substance accelerates metabolism, moderates appetite and stops new fat from developing. Ginger: Filled with antioxidants, and it is also considered to be a superfood. There have been 60 reputable research studies indicating that ginger can prevent obesity. It is known to burn body fat which leads to weight loss. L-Arginine: An amino acid which, among many other uses, has been found to stimulate weight loss and burn fat. One of the other effects of this substance is to make people less resistant to doing exercise, and researchers theorise that this is why it aids in weight loss. What are the Advantages of Premier Diet Keto? It can curb your appetite, so you eat less food. It may speed up metabolism, which helps you lose weight. It may give you more physical energy so you’re more active. Many people do really lose weight over time. What are the Disadvantages of Premier Diet Keto? It interacts negatively with several medications. It can’t be purchased at any retail outlets, only online. It doesn’t work without also dieting and exercising. You must consult with a physician before beginning treatment. How Should You Take Premier Diet Keto? Each bottle contains 60 capsules. You should take two each day, at separate times, while you’re having a meal. Ideally take one in the morning with breakfast and the other in the evening, with supper. You must take two tablets a day, not less, or the supplements will not work. Drink a glass of water after taking a dose. How Much Does Premier Diet Keto Cost? It’s very difficult to determine the cost of this product, since it’s not listed anywhere on the official website. Apparently, you are only given the price once you have already signed up to purchase a bottle. What is Premier Diet Keto’s Return Policy? The policy is that the company will refund all of your money if you send the product back unopened within 30 days of purchase. So if you try out the product and decide it is not effective, you will not get your money back because you have already opened the packaging. Does Premier Diet Keto Offer a Free Trial? No, the company does not offer a free trial. However, at the moment they have a short-term offer where you can buy three bottles and get two additional ones for free. Premier Diet Keto is a weight loss product designed for customers following the Keto Diet. It is based largely on the weight loss properties of natural substances such as Garcinia Cambogia, ginger and avocado. The manufacturer claims that it gets rid of fat, accelerates metabolism, increases energy and takes away your hunger cravings. Some customers were very happy with the results they got from the supplements in terms of lost inches and additional energy. Others claimed there was very little change in their weight, and they felt that they had wasted their money. One customer had a mild allergic reaction to the ginger in the product. A free trial bottle would certainly improve confidence in the company, but they don’t offer one. They do, however, offer two additional bottles for the purchase of three. This product is meant to be used along with diet and exercise. Consult a physician about your health plan, including whether these supplements are right for you.